Ruth at Amongst Spring Blossoms has tagged me in her animation tag!! 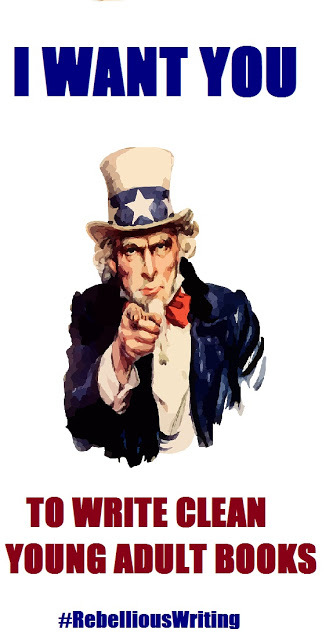 Tag some people and answer the questions! 1. Who's your favorite animated heroine? Probably either Mulan, Moana, or Ariel. 2. Who's your favorite animated hero? 3. 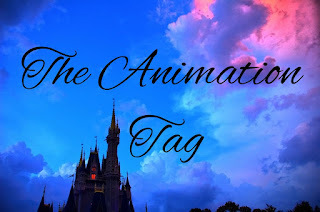 If there was to be a sequel(or even a third, fourth, or fifth part)(and then I don't mean like Frozen Fever and Tangled Ever After, those short movies, but a real one) of an animated movie, where would you like it to be about? But please Disney, get it right. Mulan 2 didn't hold a candle to the first one. 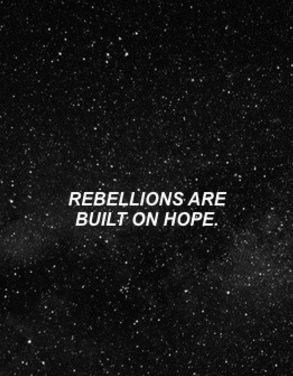 Okay, so I thought of a storyline and Imma going to share it. So, in Mulan 2 Shang and Mulan got married, and now Mulan is going to have a baby. But Shang goes off to fight a war and goes missing. So Mulan has to go find him. So maybe the three princesses and their lovers go with her and the have adventures and whatnot. Meanwhile, Shang has lost his memory due to some sort of injury. And this widow and her daughter are taking care of him. All Shang can remember is his name and the name Mulan and her face. The widow's daughter falls in love with Shang, but Shang can't get Mulan's face out of his head. Finally, Mulan finds Shang and when he sees her, Shang gets all his memory back. 4. Which couple from an animated movie do you think is highly underrated? YES, I KNOW IT'S NOT HISTORICALLY ACCURATE BUT THE WHOLE MOVIE ISN'T HISTORICALLY ACTIVE. Funny fact, as a kid, I used to think that the movie Pocahontas was true. So when we had to read about her for History, I was like, "WHERE'S GRANDMOTHER WILLOW???" 5. Which couple do you like most? 6. Which song is your favorite? 7. And if you should choose a song that isn't likely to be chosen by you, one that didn't immediately come up in your mind but is still a favorite, which one would it be? A friend of mine told me that it wasn't that good, so when it came on Netflix I procrastinated a couple weeks before watching it. It was really good though. 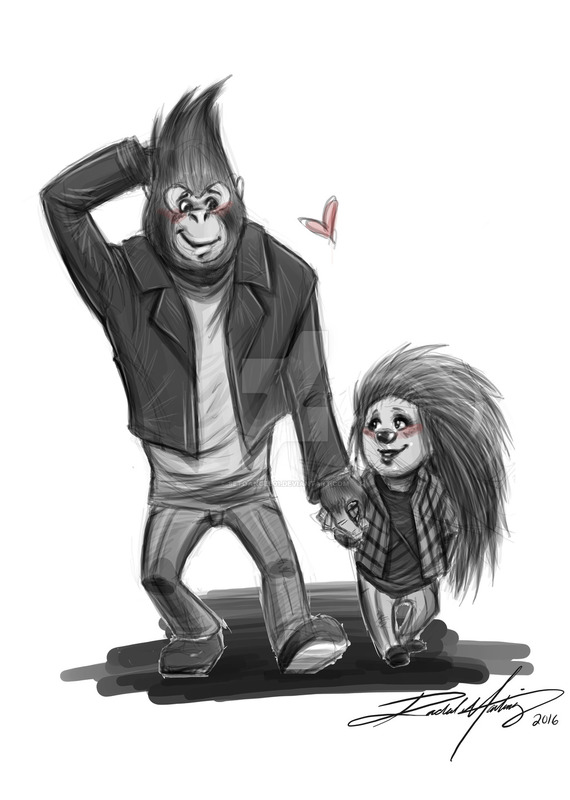 Johnny and Ash from Sing! I DON'T KNOW WHY I SHIP THEM, OKAY?!?!?!?!? Hm.....I really like Moana's hairdo. I like flowy hair :P Or maybe Rapunzel's. Or Maria's. I love Anastasia's. I would wear that. Or Maria's. Or Cinderella's. DO Y'ALL HONESTLY EXPECT ME TO MAKE A DECISION??? HAVEN'T YOU LEARNED THAT I AM THE WORST PERSON TO DO THAT???? 13. What's your favorite Disney princess movie? If it wasn't obvious, Mulan. 14. 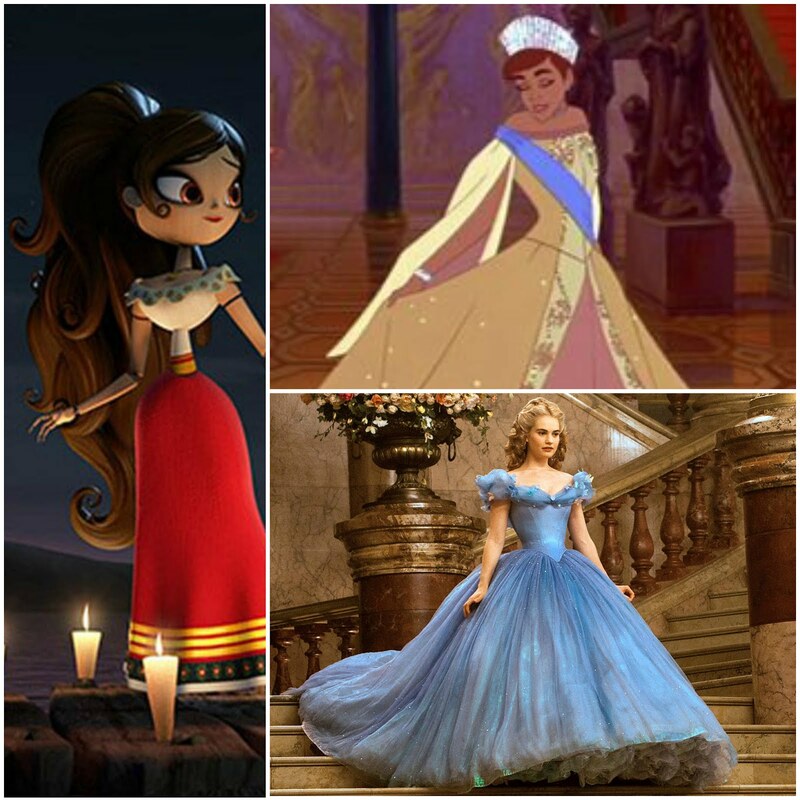 What's your favorite animated movie (no Disney princess movies included)? 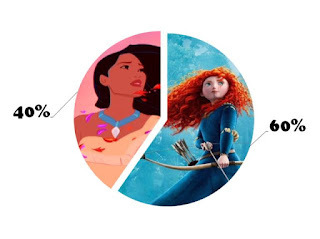 Apparently, I'm 40% Pochahontas and 60% Merida. 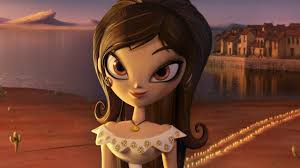 Maria from The Book of Life. She's Mexican, I'm half Mexican (I look a lot like my dad - who is Mexican - though). 17. Which statement do you think is true and which not(you know, those things on Pinterest that say...for example: That Elsa and Anna are Rapunzels cousins, and that Tarzan is Anna and Elsa's brother or that the oldest girl from Despicable Me is maybe Riley's mom from Inside Out)? That one. 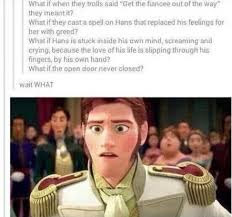 Because I actually sortakindadid like Hans *runs for cover* I FELT REALLY BAD FOR HIM OKAY?? 18. What animated movie did you expect much of, but turned out to be much worse than you originally thought? The Good Dinosaur. It looked really cute from the preview but it was just meh. So, I hope you guys had just as much fun reading this as I did writing it. 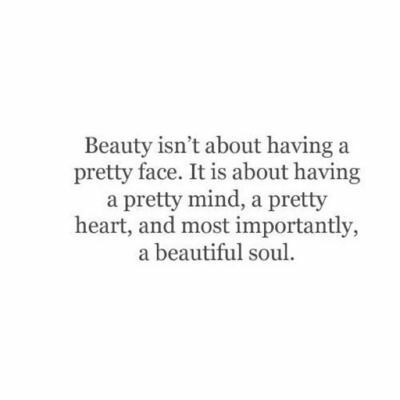 Anywho, I tag everyone who wants this. 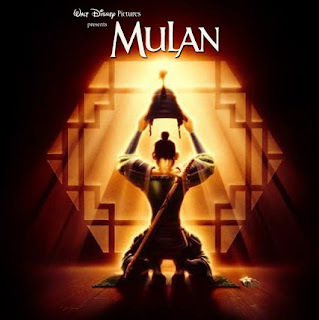 Mulan..... that movie is awesome! I would have counted it for pretty mush every answer too, but I was trying to do a different movie for every answer. WE BOTH CHOSE ANASTASIA'S DRESS!!!! That storyline for Mulan 3 would be so much better then Mulan 2!!!! ANASTASIA'S DRESSES ARE SO PRETTY THOUGH!! I'm glad you liked it! It came to me one night and I was all, "THEY SHOULD MAKE A MOVIE ABOUT THAT." Also, Mulan is the best!!! 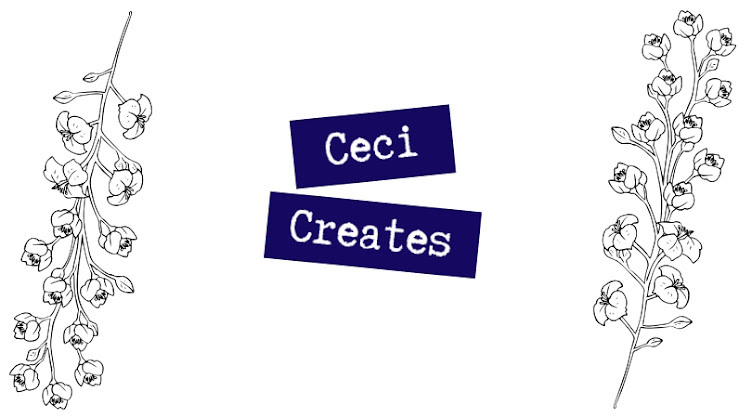 I LOVED reading this tag, Ceci!! 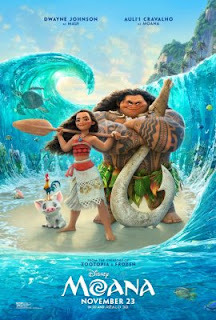 Same with Moana ~ not very fond of the Polynesian spiritual stuff, but the storyline was kinda cool. I got tagged to do this one, so we'll see how it goes! There are some parts of Moana that are strange, but it is a great story overall! I haven't seen Sing nor Moana, but they seem like good movies. 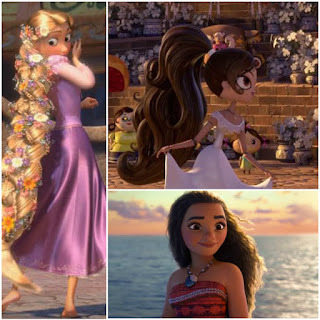 Rapunzels hair is so pretty, especially the braid with all the flowers. And Moana's hair is very pretty too. 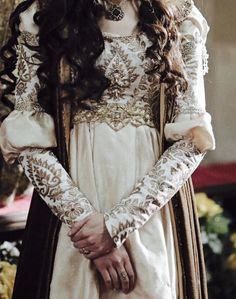 I don't know that movie with Maria, but her clothes and hair are pretty too. Thanks for doing the tag, I loved to see the answers!